The Tang Dynasty (618–907) supplanted the industrious but brutal Sui Dynasty. It flourished culturally for over a century before disaster and conflict slowly brought decline. It disintegrated into the bloody Five Dynasties and Ten Kingdoms Period (907–960). The Tang Dynasty was one of the most prosperous dynasties in Chinese history. 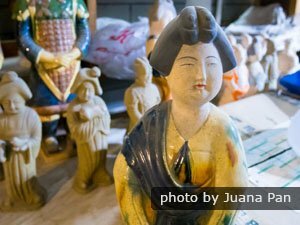 It was the golden age for poetry and painting, and best known for tricolored glazed pottery and woodblock printing. The Tang&apos;s founder, Li Yuan,took the throne by deposing the Sui&apos;s emperor. 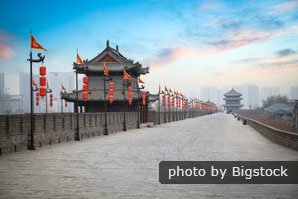 Tang&apos;s capital was Chang&apos;an (modern-day Xi&apos;an), while Luoyang was the capital during Emperor Wu Zetian&apos;s reign. It had the only female emperor in Chinese history — Wu Zetian. The Tang Dynasty had the region&apos;s best poets. It was followed by the Five Dynasties and Ten Kingdoms Period after it broke up into warring territories. The Tang Dynasty clan, the Li family, was an important military force during the Sui empire. In the last period of Sui, people hated the dynasty&apos;s imposition of high taxes, forced labor for the huge construction projects, and the wars. The Sui Dynasty was on the verge of collapse. In 618, Emperor Gong abdicated his throne and Li Yuan, who was the governor of what is now modern-day Shaanxi, took the throne. 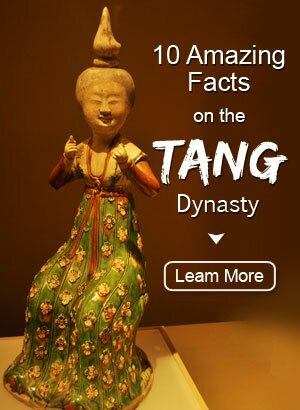 The Tang Dynasty was then established. Emperor Gaozu, born as Li Yuan, was the founder of the Tang Dynasty. Before the year 618, Li Yuan served as the governor of Shaanxi Province. In 617, the Sui government was falling apart and the whole country was in anarchy. Li Yuan rose up in rebellion, encouraged by his son, Li Shimin, in Taiyuan. The army conquered the capital Chang&apos;an (modern-day Xi&apos;an), and Li Yuan acclaimed a child emperor, Emperor Gong of Sui. But in 618, Emperor Gong of Sui abdicated his throne and Li Yuan became Emperor Gaozu of Tang. 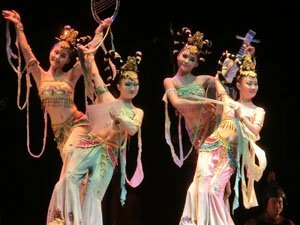 The Tang-style Music and Dance, a performance featuring elements of Tang Dynasty. Emperor Taizong was the second son of Emperor Taizu. He made a great contribution in the rebellion against Sui. In 626, he killed his two brothers and then took the throne after Emperor Taizu retired. This was known as the "Xuanwu Gate Incident". He ordered the Tang court to use imperial examinations to appoint many Confucian scholars to the ruling bureaucracy. These examinations tested the candidates&apos; literary skills and knowledge of Confucian texts. He promoted Buddhism in the Tang Dynasty. He also promoted Nestorian Christianity. During his reign, the empire prospered. Silk Road trade flourished, and Emperor Taizong received foreign emissaries in Chang&apos;an. Early in the Tang era, the spread of Buddhism was assisted with the invention of woodblock printing techniques. Buddhist texts and charms were printed and disseminated. Emperor Taizong also instituted a legal code that served as a model for following eras and for the governments of other countries, such as Korea and Japan. In 635, a Nestorian named Alopun went to Chang&apos;an. Emperor Taizong approved of the preaching of the religion all over the empire and ordered the construction of a church in Chang&apos;an. Many people became Nestorian Christians and churches were built in some cities. The empire prospered under stable rule for a while and there was a period of relative peace and prosperity afterwards. Chang&apos;an became one of the biggest cities in the world. Along with the increase of wealth and urbanization, art and literature flourished. During these years, the Tang Dynasty reached its height before the An Lushan Rebellion in 756. Gaozong was the third emperor in the dynastic line and Wu Zetian was his second wife. From660, Wu Zetian attended to state affairs due to Gaozong&apos;s ill health. In 683, both Prince Li Xian and Li Dan took the throne temporarily after Emperor Gaozong died.They were known as Emperor Zhongzong (ruled in 684 and 705–710) and Emperor Ruizong (ruled 684–690and 710–712). During the reign of Emperor Taizong, Wu Zetian was an ordinary candidate for a concubine, then she married after Taizong died. 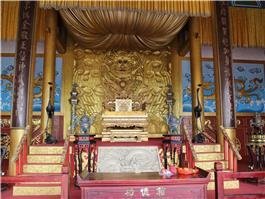 In 690, Wu Zetian dethroned the emperor and eventually became the real controller of the court. She changed the dynasty name to "Zhou", which was historically known as "Wu Zhou". The capital was moved to Luoyang. During the reign of Wu Zetian, she carried out lots of reforms to make the Tang Dynasty grow stronger than before. In 705, Wu Zetian was forced to abdicate and Emperor Zhongzong retook the throne. 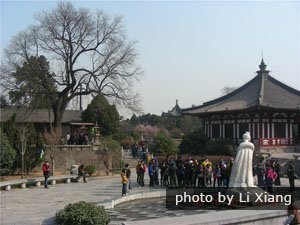 Huaqing Hot Spring, a famous royal garden in the Tang Dynasty. Emperor Xuanzong was the seventh emperor of Tang. Inthe early stageof his reign, he brought the Tang Dynasty to a golden age. It is thought that it was the most prosperous era for Chinese poetry. Li Bai and Du Fu are often thought of as China&apos;s greatest poets who lived during the beginning and middle periods of the Tang Dynasty. At the end of his reign, however, Emperor Xuanzong was slack when it came to state affairs and was tootrusting of his courtiers.The Tang&apos;s decline began with the An Lushan Rebellion. In 751, the Muslim Arabs sought to expand their empire and attacked from the west. In the Battle of Talas in 751, they defeated a Tang army composed of Tang troops and local mercenaries along the western border. In 751 and 754, the Nanzhao empire, which was a rich and powerful empire centered in what&apos;s now modern-day Yunnan Province, was destroyed twice by the Tang army. In 829, their army took the city of Chengdu in Sichuan. In 755, the An Lushan Rebellion broke out.An Lushan was a general of a large Tang army. He was of Central Asian descent. He rebelled in755 and captured the major Tang city of Luoyang. Then he captured Chang&apos;an. The emperor fled the city. The Tang army recaptured it a year later. Shortly after that, An Lushan was killed. The rebellion lasted for 8 years and ended in 763, but it severely weakened the empire. After the wars of the middle 700s, the power of the Tang Dynasty was diminished. Although the dynastic clan retook Chang&apos;an and the Tibetans were driven back, local rulers and army leaders had more of the power, and various regions became more autonomous. The empire ended in natural disasters, defeats, and rebellions. In 763, taking advantage of the An Lushan Rebellion, the Tibetan empire attacked the Tang empire and captured a large part of the northern land area including Chang&apos;an. 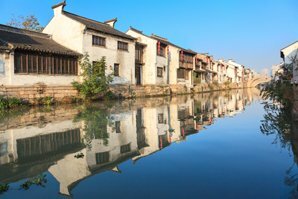 In 858, the Grand Canal flooded massively and inundated much of the land in the northern part of China. In 873, a horrific drought and famine swept across not only the empire but the whole of Eurasia, during a period of cold and dry climates, similar to the Little Ice Age of 1600. Agricultural production fell by more than half, and people and livestock starved. In 874, a large peasant rebellion called the Huang Chao Rebellion broke out. People who survived the flooding and famine rose up against the government. Both Chang&apos;an and Luoyang were captured, and the dynasty was greatly weakened. In 904, Emperor Ai was chosen to be the puppet ruler by a military governor, Zhu Wen. Then in 907, Emperor Ai was forced to abdicate and Zhu took the throne. Zhu Wen changed the empire to the Later Liang Dynasty. That was the end of the Tang Dynasty and the beginning of the Five Dynasties and Ten Kingdoms. Xi&apos;an tours: You can learn about this prosperous period of the Tang empire&apos;s history by touring the imperial clan&apos;s mausoleums. These include the Qianling tomb complex at Liangshan. This large complex contains the tomb of Emperor Gaozong and Wu Zetian. See Dufu&apos;s Thatched Cottage with us on a Chengdu tour, in southwest China&apos;s Sichuan Province. Tour the Silk Road sites with us. We offer a number of packages that bring to life the sights along the historic land route from Xi&apos;an to Turpan and Kashgar. If you can&apos;t see exactly what you want, you can customize your tour or use our tailor-made service.